Item # 280187 Stash Points: 3,499 (?) This is the number of points you get in The Zumiez Stash for purchasing this item. Stash points are redeemable for exclusive rewards only available to Zumiez Stash members. To redeem your points check out the rewards catalog on thestash.zumiez.com. 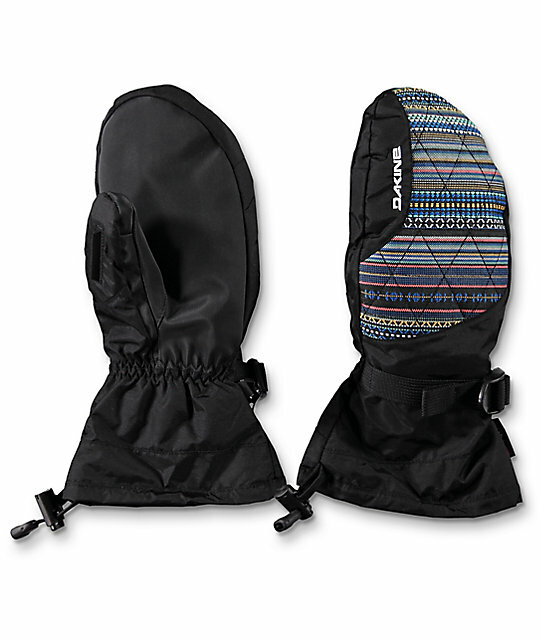 The Dakine Camino snow mittens will keep your hands warm and dry all day. The tough exterior has been treated with a Durable Water Repellent to lock out moisture while the palm features an abrasion-resistant grip. Whatsmore, the Camino's come with a removable liner glove that is smartphone compatible so you can get your phone out even when it's storming. On the inside, the soft lining has a hand warmer pocket for heat that exceeds their 5 out of 5 warmth rating. Is it getting hot in here? Nah, its just Dakine's Camino snowboard mittens. Camino Cortez Snowboard Mittens from Dakine. 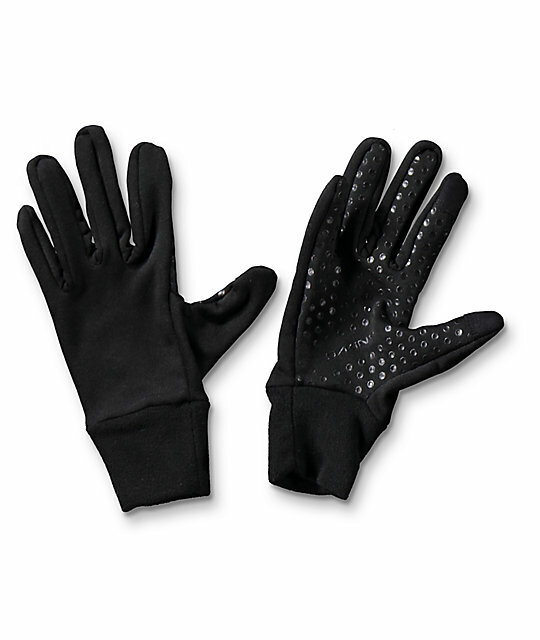 Rubbertec Palm: The polyester material features a polymer grip surface treatment for the ultimate durability and waterproofing. High Loft Synthetic Insulation: [110 - 400g] A low-profile and lightweight insulation that resists moisture in wet conditions while trapping in heat. Dakine Warmth Index: 5 out of 5. Dakine 17/18 Women's Global Series. Removable Storm Liner Glove: A touch screen compatible midweight 4-way stretch 280g fleece liner glove with a silicone palm grip. One hand cinch gauntlet cuff closure. Machine wash safe, press out excess water & air dry.